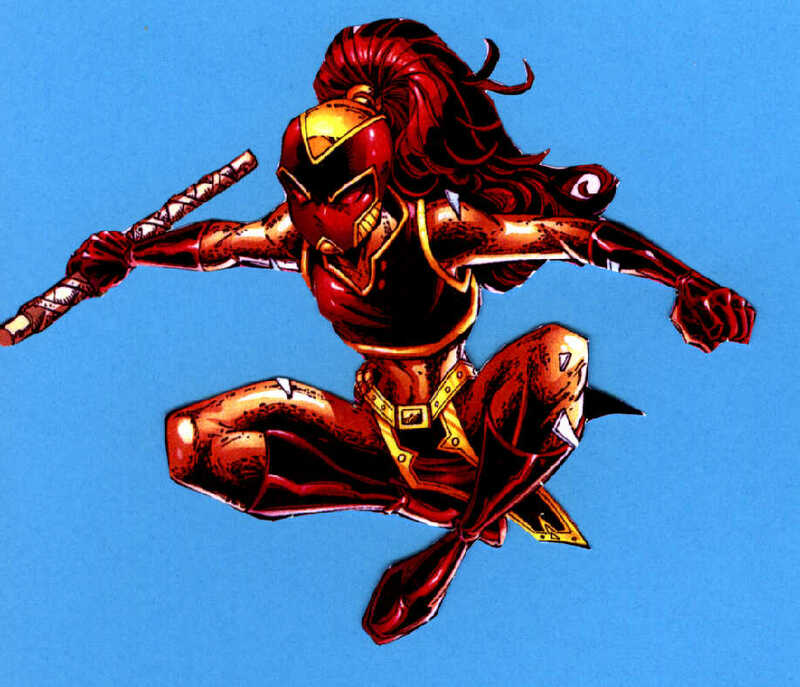 Empress made her costumed debut in Young Justice #19 and remained a mystery charachter for several months, until #25 where her identity was revealed and she joined the team, along with Lil' Lobo. On my site I will include pictures, (by me and from the comics) and information on this interesting new character. As you can see there is nothing here yet, as I have only just created this site, but over the next months it will grow. Visit regularly, and also visit my other sites, which can be found on the links page soon. Empress, Young Justice, and all related characters and insignia are property of DC Comics and are used here without permission for entertainment only, no profit is being made from this site. Any similarity to persons living or dead is completely coincidental.